Terry Robb is a sought-after educator of fingerstyle acoustic guitar. Steeped in ethnomusicology, he has given master classes, workshops and seminars at universities, cultural centers and festivals across the United States, Canada and Europe. Below see a list of Terry's current educational programs and upcoming dates. This workshop will focus on the classic acoustic blues styles of players like Mississippi John Hurt to Elizabeth Cotton and John Fahey; ragtime in the styles of Reverend Gary Davis and Blind Blake; and the Delta blues styles of Charlie Patton, Son House and others; while also covering the monotonic picking styles of Robert Johnson and Lightnin’ Hopkins. This workshop will also cover slide guitar in open tunings. Guitar players of all levels are welcome and curriculum is provided. Attendees should bring a six-string guitar to the class. Pendleton, Oregon / Sun, May 19, 1:00-2:30 p.m.
Great Pacific, 403 S Main St, Pendleton, OR 97801. $45 per person, includes curriculum. Limited to 12 people. Guitar players of all levels welcome. Vancouver International Guitar Festival, Creekside Community Recreation Centre, 1 Athletes Way, Vancouver, BC V5Y 0B1. Tickets and Master Class time TBA. Check back for more info. 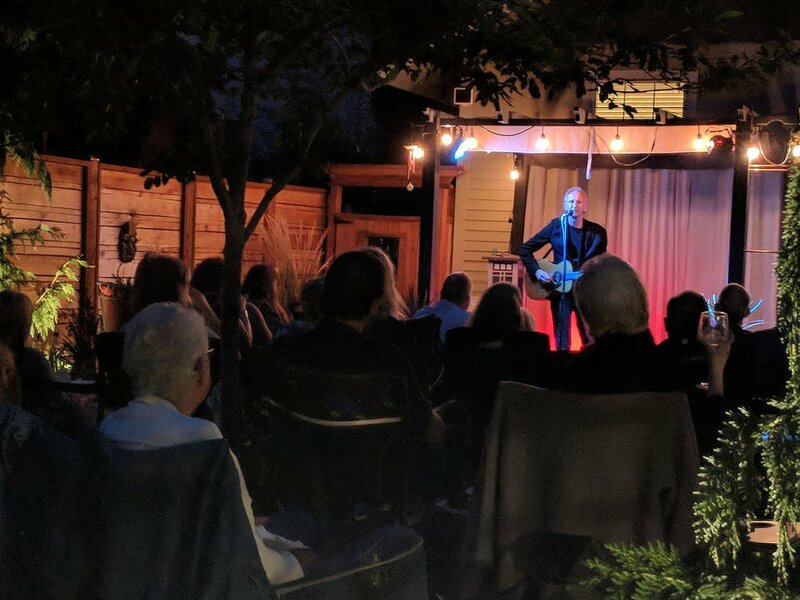 Join Terry Robb in the intimate, private setting of a house concert! Most house concerts are by invitation only, so please email us at info@terryrobb.com for tickets and info. Bend, Oregon / Sat, June 1, 7:30 - 9:30 p.m.
Join Terry in the beautiful city of Bend where the Cascasde Mountains meet the Oregon High Desert. Enjoy acoustic blues at its finest against the picturesque backdrop of towering Ponderosa Pines and Aspens and the rolling Deschutes River spanning of two acres in the setting sun. Email info@terryrobb.com for tickets and info.